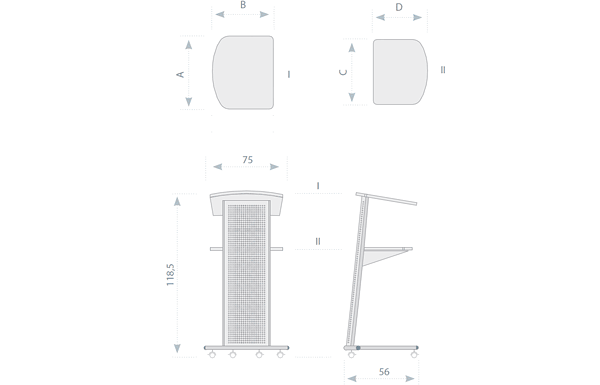 Presentation furniture – Conference room AV furnishing | 2×3 S.A. Projection desk in modern design. The board is made of furniture board in grey. The upper board with the possibility of adjusting the angle. Rolling system in graphite. Blocking system of rolls. Note: to be assembled by the customer. Folding quickly (like a stepladder). Takes a very little space when stored. Solid steel construction, painted in black. Two decks (top: 60 × 40 cm; lower: 46 × 29 cm) made of furniture board in ashen grey. High lipped edges prevent slipping off. The tilt of the top deck (for a projector) can be fine adjusted with a screw (<15°). 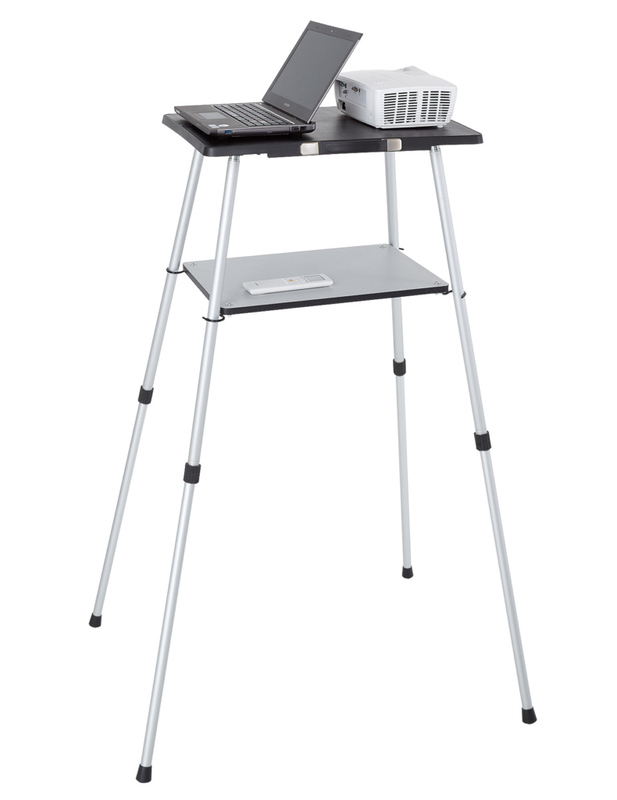 Two decks: the upper (65 × 45 cm) plastic, with black, anti-slip veneer; lower (56 × 37 cm) made of furniture board in ashen grey, suspended with hooks on legs (height within ~36 cm). Screw-fastened legs made of anodized aluminum. 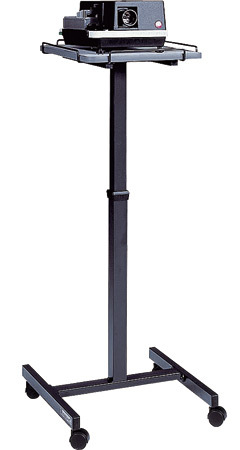 Telescopic height adjustment (82–143 cm). As folded, easy to carry through the handle. 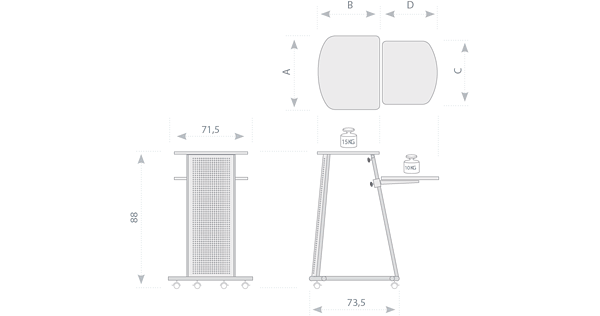 Adjustable height table from 80 to 125 cm. Light grey shelve (40 × 50 cm). 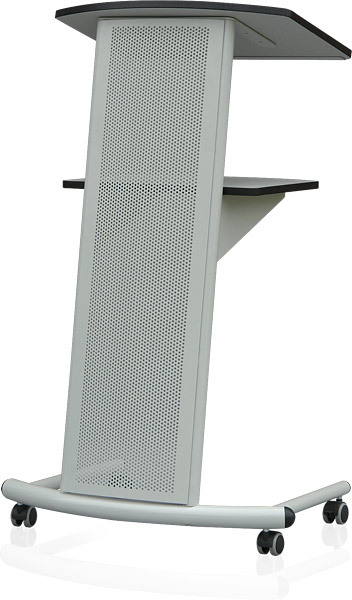 Mobile stand a in graphite colour. Four lockable castors. 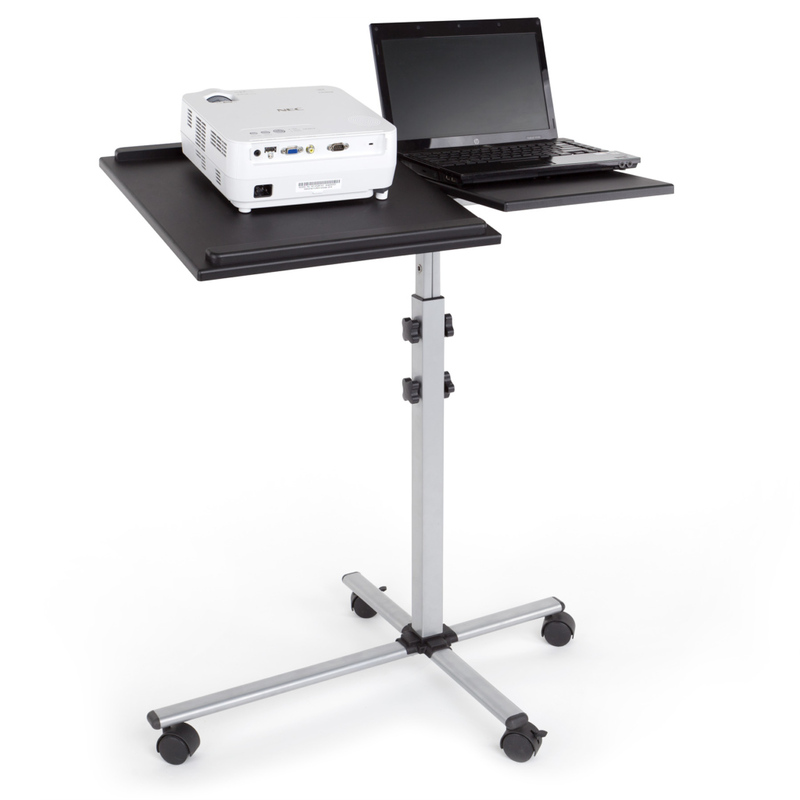 Modern table designed for portable presentations. 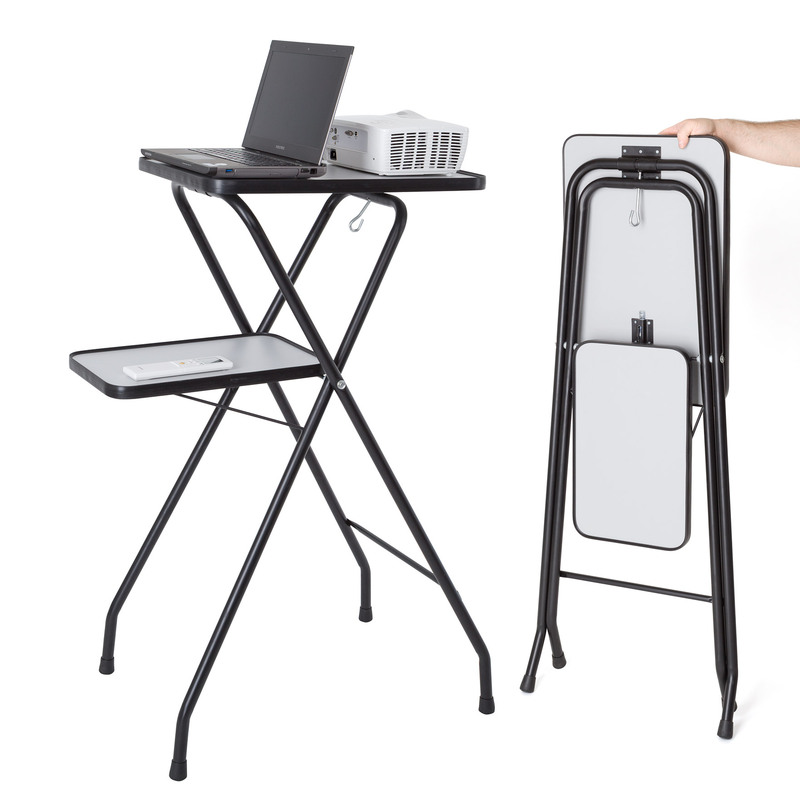 Fitted with two folding shelves for projector and notebook. 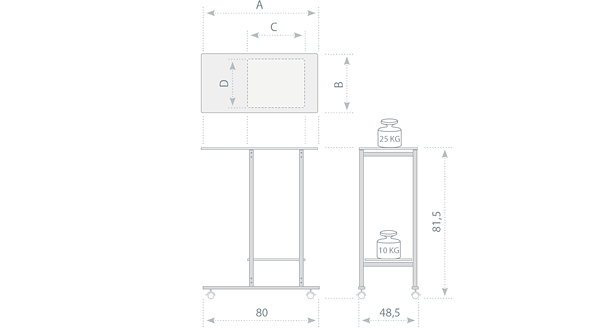 Safe and continuous variable height adjustment. Fitted with large wheels for optimum mobility. 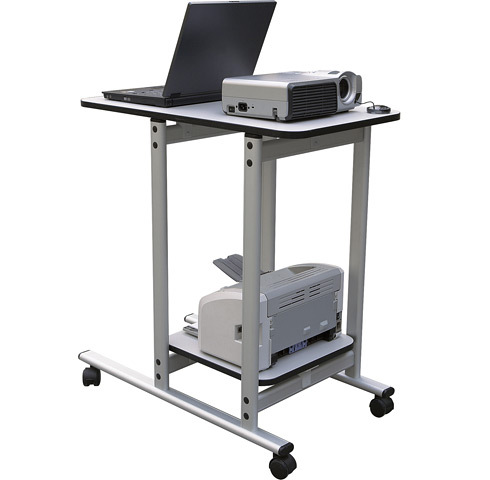 Professional, multi-projection table with two shelves for the projector, notebook or printer. 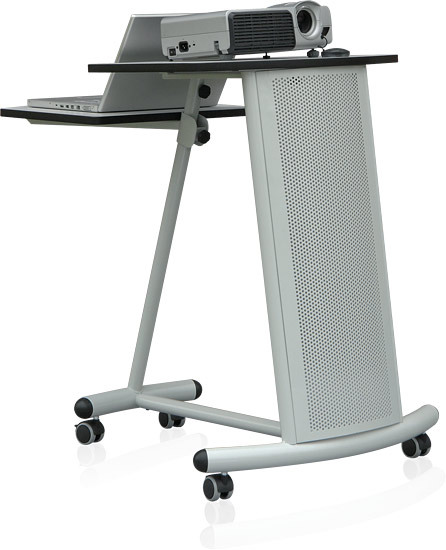 The top is made of furniture board in gray colour. 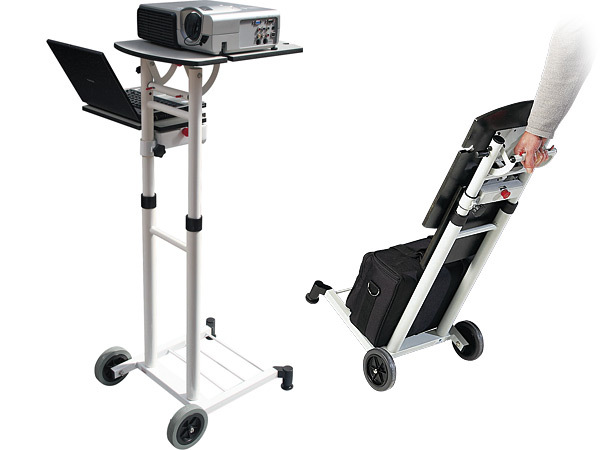 The aluminium silver base is mobile with the lockable wheels. 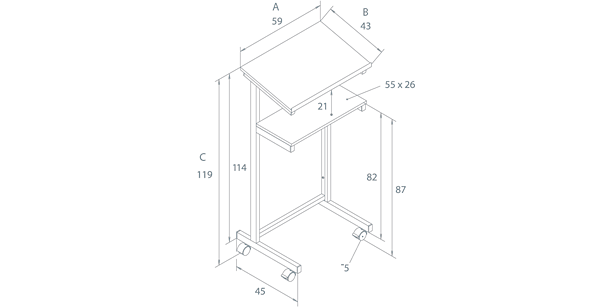 Representative platform in modern design. The board is made of furniture board in grey. Rolling system in grey (gloss). Blocking system of rolls. 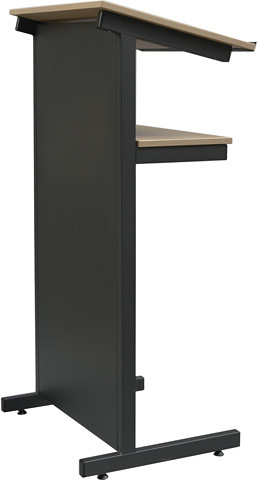 Professional and practical lectern for presentations in graphite with beech colour shelves. Solid front allows to present logo of the organizer. 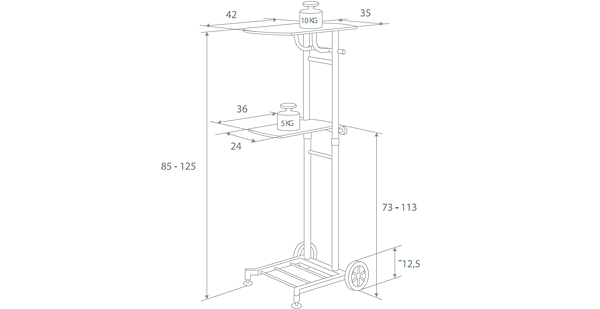 Supplied with stabilizing legs and wheels. Top shelf has an additional threshold for release to prevent sheets from sliding.